Tips for Proposing | Should you PROPOSE with an Engagement Ring? In addition to the questions addressed in our Engagement Ring Guide, those who wish to propose with an engagement ring face a few unique choices as explained below. Should I propose with a ring? Propose with the engagement ring – If you have a good idea of what design your partner wants, this is definitely the way to go. There is nothing more romantic than proposing with the actual engagement ring. Propose with a loose diamond – If you’re not quite sure which design is the right one, one option is to propose with a loose diamond. You can then come in together after the proposal and choose the design together. We provide a beautiful box to display the diamond. 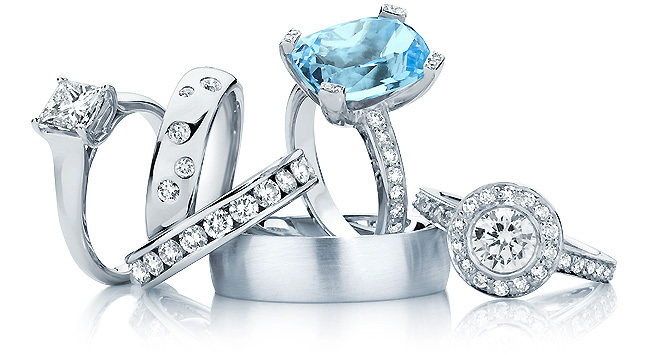 Choose the diamond and ring together – Many couples choose this option nowadays. Whilst proposing with the ring or a diamond is very romantic, it can be really exciting to share the experience of choosing the diamond and designing the ring together. Before you start your search for the perfect engagement ring, it is important to set yourself a budget. A common guide for what you should spend is roughly two months’ wages, however this is just a guide and you should choose a budget that is comfortable for your circumstances. The team at Larsen Jewellery are able to create a beautiful engagement ring for you no matter what your budget is. How do I know which design to buy? Pay attention when your partner admires someone else’s ring, or if she points out designs she likes in ads or shop windows. What shape of stone did she comment on? Is it a single stone or did it have stones in the band? Is it a fine or wide band? You could bring in one of her girlfriends for advice, as long as she can keep a secret! If you are still unsure, the best thing to do in this circumstance is to propose with just the stone, and get her involved in the design afterwards. Look at what other jewellery your partner wears. Do they have a lot of Yellow Gold pieces, or perhaps some Silver accessories? White Gold is the most popular choice at the moment, followed by Platinum and Yellow Gold. If they have a mix of metals, you could choose to have the band in Yellow Gold and the setting in White Gold, ensuring the ring will go with any of their other pieces. What is her finger size? If they wear a ring on her right hand ring finger, we can work out the size if you can sneak it in to us. Alternatively, you can try their ring on your finger and see where it fits. You could also draw around the inside of a ring, or tie a piece of string around their finger. These methods are not exact, but can give us a good idea. Even if it is not the perfect fit the first time, we include one free resize with every ring to alleviate any problems.